Arizona Sunshine LB VR, based on the award-winning and best-selling VR shooter Arizona Sunshine, and Corsair’s Curse offer an untethered warehouse-scale VR experience that transports up to four players straight into the heart of a zombie apocalypse or into the enchanted galleon of the wicked Corsair. 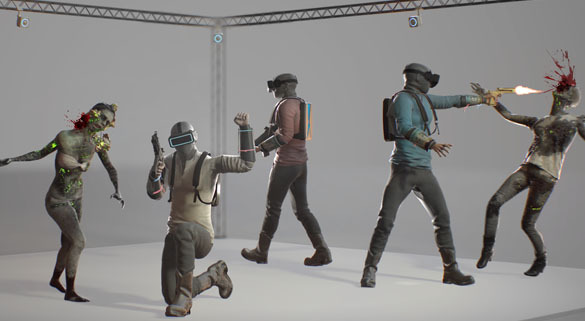 Freely moving around and interacting with each other in one real-world arena using full-body tracking, 4D effects, and a range of supported VR gear. Players can create their ultimate weapon loadout in Arizona Sunshine or feel the wind in their face and the ground shake in Corsair’s Curse. These are some of the most immersive VR experiences yet. Join forces with up to 4 players and take on the brain-hungry undead as they lurch out of the surrounding canyons to attack you, wave after wave. Can your squad hold out long enough to set a new record? Say goodbye to motion sickness and teleporting and say hello to untethered action. Arizona Sunshine – LB VR Edition is a VR experience that lets you freely roam a post-apocalyptic world by moving around in the real world. 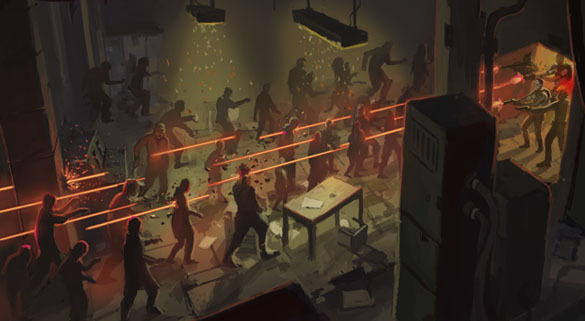 Interact with up to four friends in one warehouse-scale arena, and interact with your fellow survivors in the real-world space for the optimal chances of survival. Jump in guns blazing or operate together tactically – it all depends on your play style and what your mission requires. There’s a gun for every situation. With support for all leading VR peripherals, from the Striker Gun, PP Gun and Hyperkin Blasters to the Hardlight vest, you will build your ultimate weapon loadout before heading into the mission – or swap out your guns on the go. 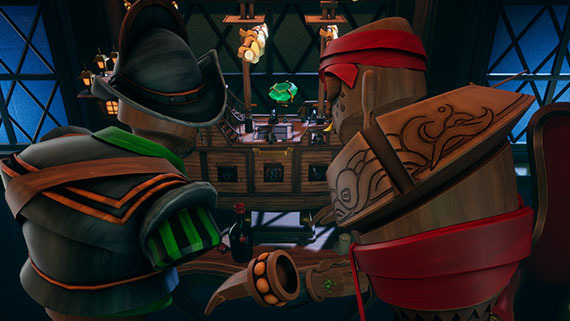 Corsair’s Curse is a free-roam, large-scale VR experience that allows two to four players to physically walk around and interact in a shared VR play space. Corsair’s Curese provides optional support for 4D effects such as vibrating floors and wind effects, all creating the perfect illusion of exploring its magical VR world. Cursair’s Curse comes with a fully localized English and French Game Master console that provides operators with all tools for effortless configuration and in-game guidance. © 2018 Vertigo Arcades B.V., Vertigo Games B.V. and Jaywalkers Interactive. All Rights Reserved.